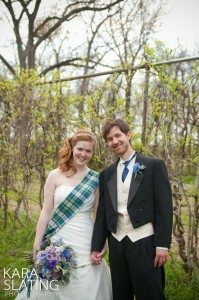 Using the cool color palate of the groom’s family tartan, we worked with the bride to create bouquets that reflected her garden theme wedding set in Allerton Park. For the bridal bouquet we used limonium, delphinium and lavender freesia to add movement and height for a “just-picked” feel to the more. 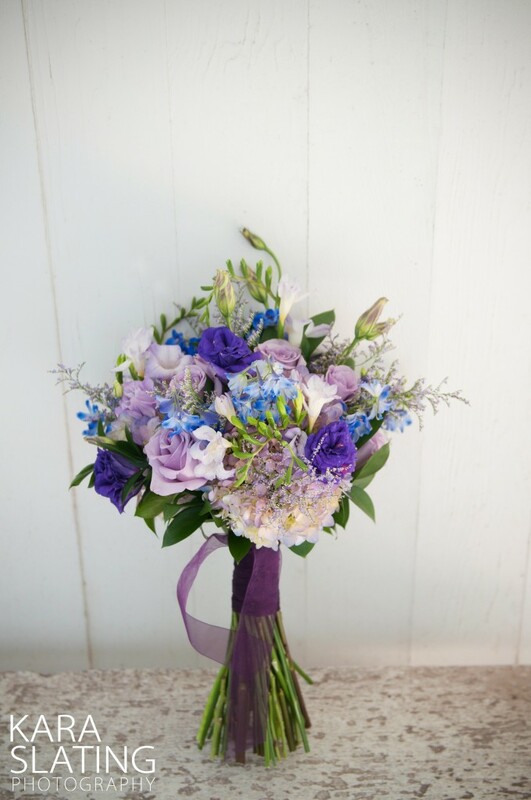 Blue bird roses and purple lisianthus kept the bouquet centered on shades of purple for a feminine touch. Thank you to Kara Slating Photography for sharing these beautiful images! I loved this wedding, you couldn’t meet a sweeter bride. Thank you Allison for choosing Blossom Basket to be a part of your wedding day. 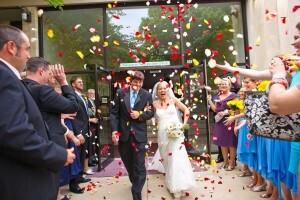 Allison carried a bouquet of blue hydrangea, ivory spray roses, and white gerbera daisies. The gerbera daisies add a touch of whimsy to the otherwise traditional hydrangea and spray roses. 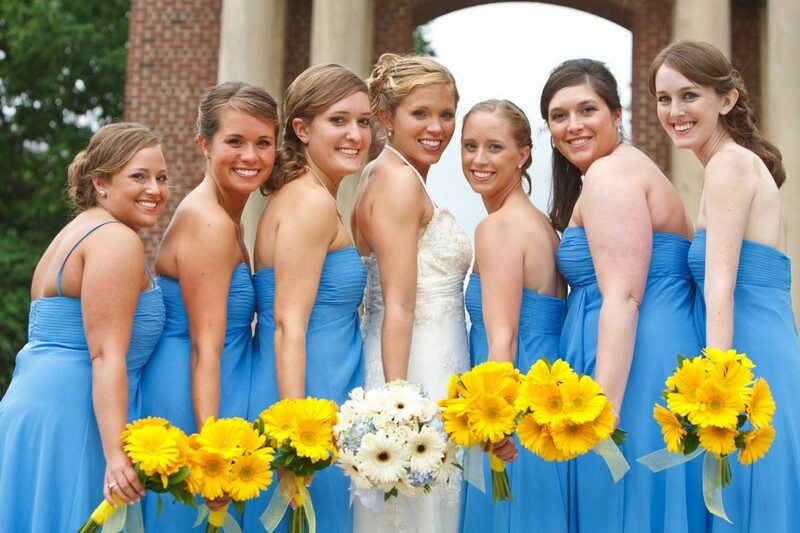 Her bridesmaids had simple hand-tied bouquets of bright yellow gerbera daisies. for sharing his beautiful work.